Explanation: The giant planet Uranus is faint and featureless when viewed in visible light. But this pair of near-infrared mosaics from the Hubble Space Telescope's NICMOS camera reveals moons, rings, and clouds of this distant gas planet. The color coded images highlight different atmospheric layers - blue represents the deepest layers while the highest cloud features have a reddish tinge. Racing around the planet, high, bright clouds are seen to move substantially between the two pictures taken only ninety minutes apart. Ring systems are a common to the solar system's giant planets. 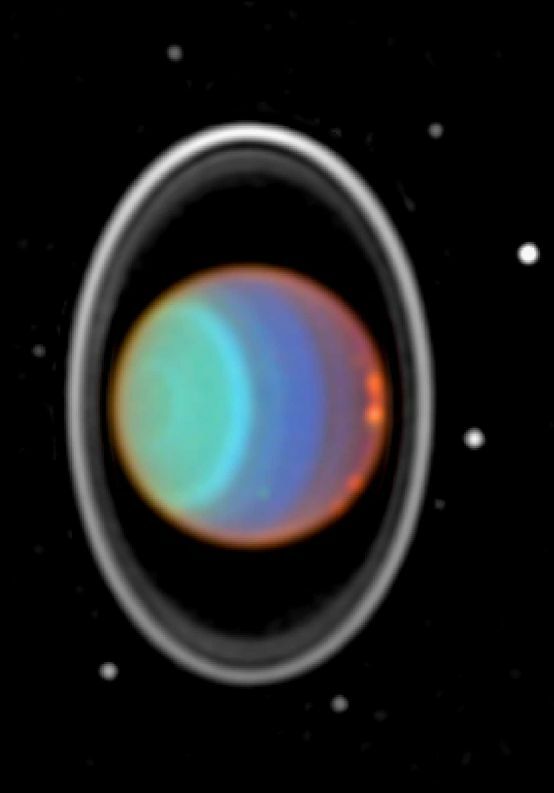 Here the main Uranian ring seems to vary in width and is clearly brightest near the top. 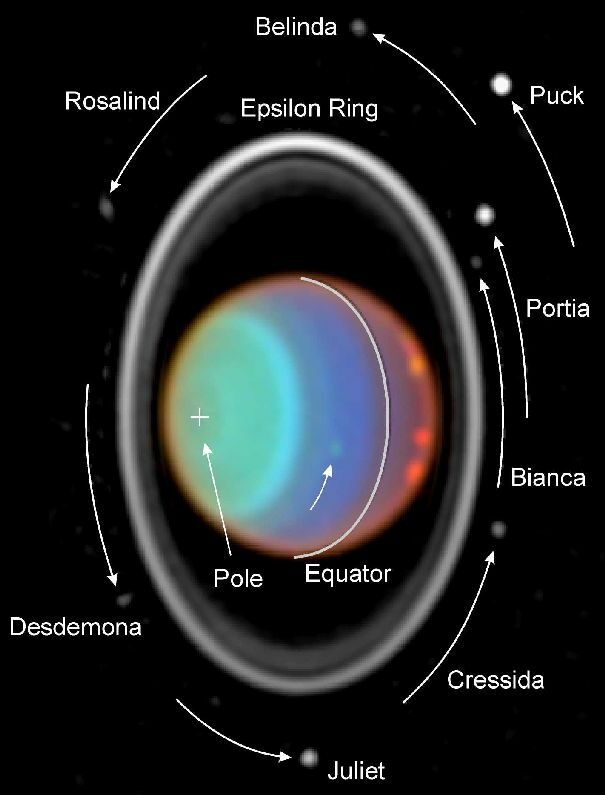 The eight specks beyond the ring system are small Uranian moons which also show counter-clockwise motion over ninety minutes as traced by the arrows on the right hand image.